ST. GEORGE — Hundreds of homeless youth in Southern Utah are in need of blankets, coats and winter clothing. Local outreach counselors continue finding teens who have nothing to keep them warm in the plummeting temperatures. Those characterized homeless include families who are doubled up and living with other families, she said, and kids who are couch surfing staying with other friends and the like. Through donations, community members can help the crisis center meet the basic needs of these youths in crisis as winter sets in. For more than two decades, the Washington County Youth Crisis Center, or WCYCC, has helped troubled teens all over the county. The shelter houses youth ages 10 to 17 who have suffered abuse or neglect and are in the custody of the Division of Child and Family Services. 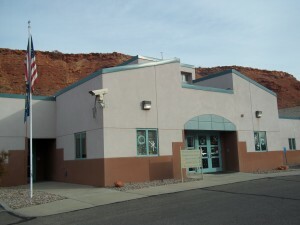 It also offers a place to stay for juveniles who have run away, have nowhere to go after being released from detention or have been picked up by police for minor offenses or dangerous behavior. The Washington County Youth Crisis Center has a youth outreach and mentoring program that utilizes three highly trained counselors who are responsible for finding teens with limited resources – or those who are homeless and have nothing at all. Many of these youths are unable to live at home or lack a stable home environment, and they are basically left to fend for themselves. These kids are surviving using any means available. “Many of these adolescents are found on the streets, in parks, under bridges or even sleeping in vehicles,” WCYCC Youth Outreach Counselor Alii “Bear” Alo said. As the weather becomes colder, so does the risk to these kids who are unprotected from the elements. “Their sense of desperation is immediate,” Fullerton said. There are also needs the WCYCC deals with routinely, which are left unmet without the support of the community. Those needs are directed toward the adolescents who are housed in the shelter. “Many times, these kids come in with the clothes on their bodies and nothing else,” Fullerton said. The WCYCC operates on a shoestring budget. 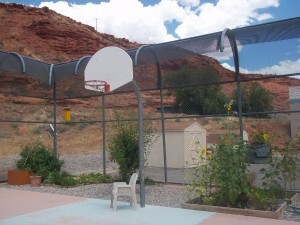 While basic items are covered by state funding, those items remain the property of the shelter once a youth leaves and cannot be taken from the facility. A desire at the center is to provide certain grooming and clothing items the adolescents can keep and take with them when they leave. This is particularly important for kids who only have what they wore into the shelter, because without those basic items they have nothing once they are released. Providing youths with warm clothing and basic necessities not only helps meet the kids’ physical needs, but it can help meet their more intangible needs, as well. “Studies have shown that one positive adult in the life of a troubled teen can turn that youth’s life completely around,” Fullerton said. There are many in Southern Utah who are committed to helping these troubled youth. With the community’s support, the WCYCC youth counselors will have warm clothes to give teens who have nothing. For more information on the Washington County Youth Crisis Center, needed donations and how to contribute, contact Tami Fullerton at 435-656-6133. Shear Style Hair Studio in Hurricane will be offering a 10% discount on all hair services priced up to $50 to anyone who brings in a coat or any other item listed in this article to donate. I will collect the donations in the salon and then donate the directly to the youth crisis center. Call Casey at 435-414-3139 for an appointment, or you can just drop by a donation. Find Shear Style Hair Studio on Facebook.